The Wood you selected is out of Stock! Another rendition of the flat tray that can be likened to the Tor II tray. This time the Paz is designed with folded cowhide leather handles buckled with antique rose gold nails. 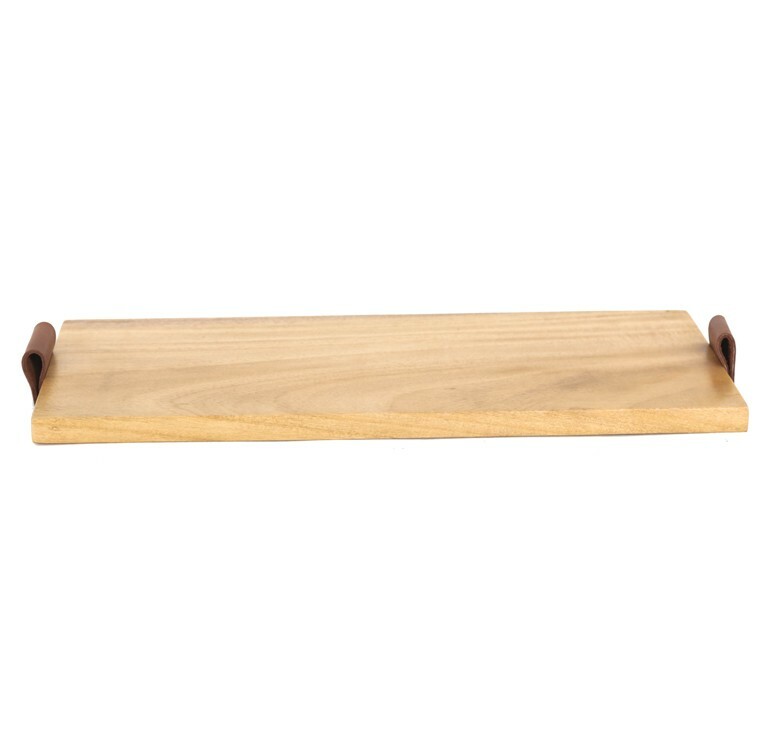 Can be used to keep trinkets, or to serve your cheese and salami spread. 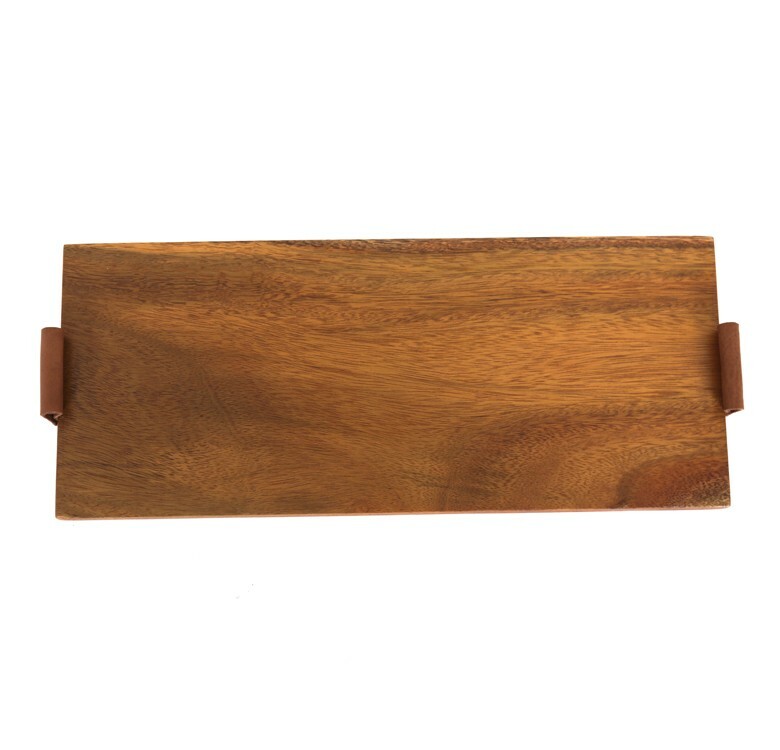 Available in Gmelina and Mahogany wood. This item is made to order. This item is made to order. Expect delivery within 45 working days upon full payment by guests. The published rate is already inclusive of delivery within Metro Manila. Care Instructions: Trays can be washed. They can also be wiped with damped cloth. Bees wax can be applied to add shine and protection. 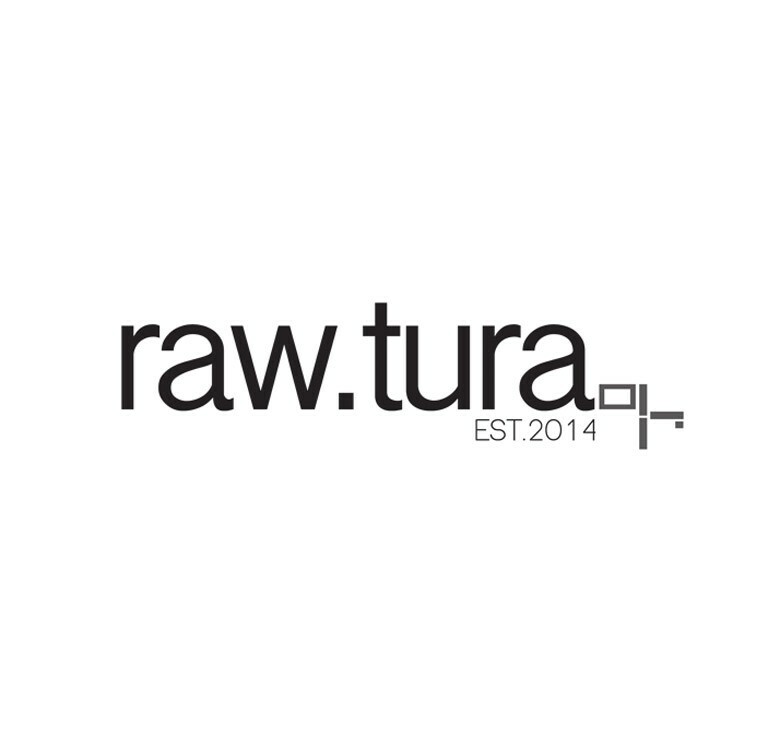 All pieces from Raw.tura are handcrafted and hand-carved by skilled artisans one piece at a time. All their accents and furniture are made from natural wood and genuine leather. Because of this, no two pieces are ever alike, adding even more beauty and charm to each piece.